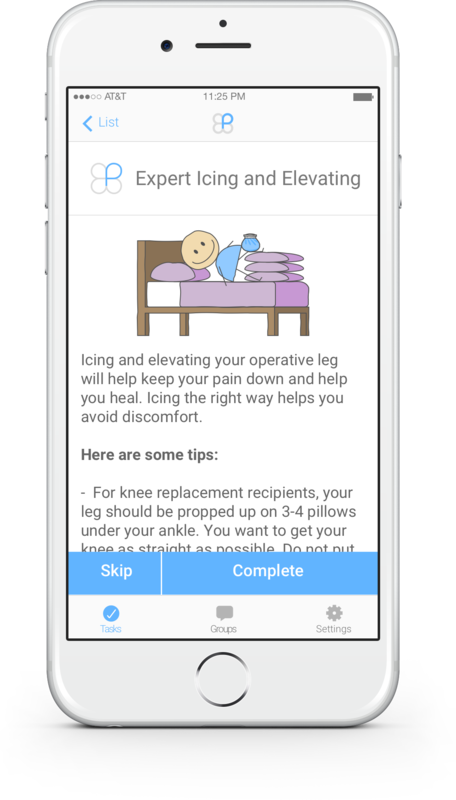 From PreHab to ReHab, our complete joint replacement app leads you toward a safer surgery and faster recovery. For the first time ever, measure your joint range of motion with your smartphone or tablet. Don’t wait for your physical therapist. Assess your recovery from the comfort of your own home with PeerWell’s easy-to-use technology. Track your progress and be lead through the activities that will impact your recovery the most. ReHab is achievable when all of the must-do activities are broken down into bite-sized daily lessons that you tackle at your own pace. The first 90 days after surgery are critical. PeerWell gives you the tools you need to be the driver of your own recovery. Recover faster and better by completing daily exercises, pain management techniques, and other interactive lessons designed just for you. Created by the nation’s leading orthopedic surgeons, nutritionists, physical therapists and other field specialists, PeerWell delivers a 5-10 minute daily lesson that will impact you the most. 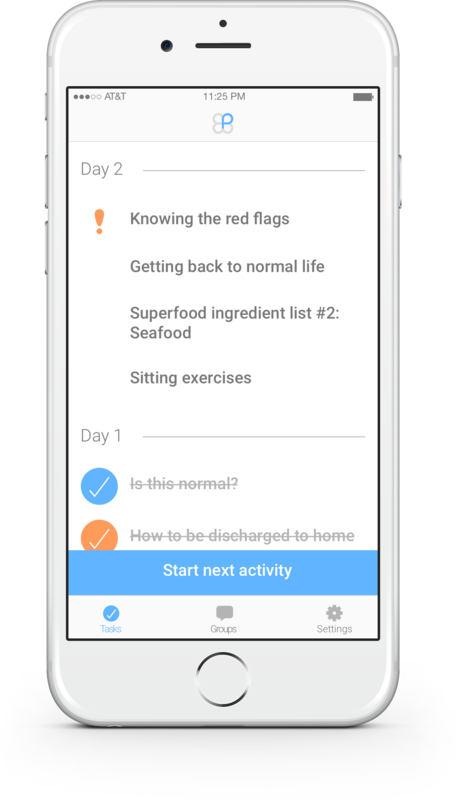 Get a daily checklist of the crème de la crème of ReHab activities. Spend 5-10 minutes a day doing the exercises and interactive lessons that are proven to kick recovery into the highest gear. Recovering better and faster means being able to see how well you’re doing. 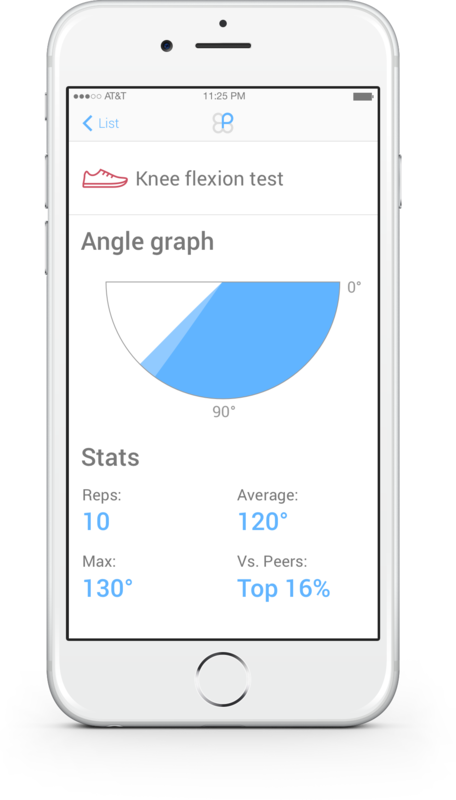 Tracking key indicators of progress, like knee flexion and range of motion, lets you know how far you’ve come and where you need to go. Get in the driver’s seat of your own recovery. PeerWell puts you in charge of your own destiny while breaking down daily lessons that are customized, fun, and encourage you to go the extra mile.